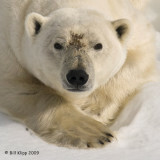 Hi my name is Bill Klipp and Welcome to Linda and my online Photography Galleries. After spending what felt like a life time in the Financial Services Industry we were able to retire and turn our life long interests into our passion and some say obsession. Our intense interest in the natural world couples well with our passion for photography and our love of exotic travel. Our hope is to create compelling images to promote an appreciation of the Natural World to help safeguard the biodiversity of the planet and the integrity of its natural ecosystems. As you wander through Linda and my photo galleries you will quickly see that we focus on Wildlife and Travel images. This website highlights some of our favorite images taken over the last several years. Our photo galleries will take you to places like Antarctica, Southern & Eastern Africa, The Galapagos Islands, Cuba, the Amazon, The Baja, Machu Pichu, Brazil's Pantanal, Alaska, the Caribbean, Mexico, Central and South America, Europe and the Arctic as well as local images from near our homes in Key West Florida and Discovery Bay California. You may have seen some of our images in international photo competitions (such as; Black & White Spider Awards, National Wildlife Federation, Natures Best, National Geographic, Havana Times, NANPA, Photographers Forum) and specialized publications such as Digital Photographer Magazine, Pro Digital Imaging magazine, Caribbean Travel & Life magazine, Fantasy Fest Key West 30 years, Yachts Magazine, The Bay & Delta Yachtsman magazine, The Delta Sun Times, The Key West Citizen, The Guide to Discovery Bay, The Discovery Bay Annual Calendar and the Galapagos Conservancy’s annual Calendar to name a few publications. I hope you enjoy our images and stop back periodically as we are always off to some place new.